Culture Crunch is C&G's own internal monthly gathering that explores our mission: design for culture. 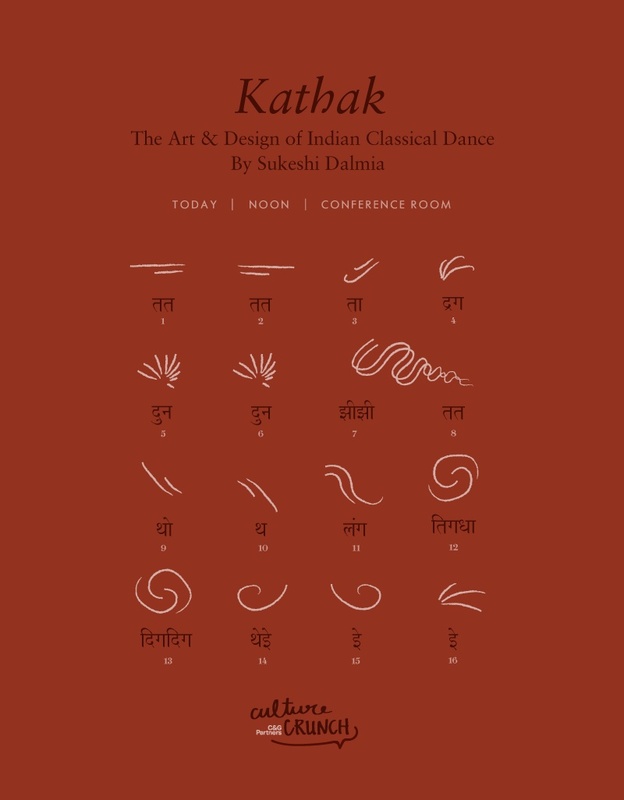 This month, graphic designer Sukeshi Dalmia demonstrated (in beautiful live choreographic form) how her cultural heritage — specifically her detailed training in the Indian classical dance form kathak— has informed her design process. Brava, Sukeshi! 1_Elevation View from C&G Partners on Vimeo.